The Bachelor of Fine Arts (BFA) in Drama with a concentration in Theatre Education prepares qualified undergraduates to become effective professional theatre educators at the elementary (K-5), middle (6-8), and secondary (9-12) levels. Theatre Education students explore a rigorous 128-credit-hour, well-rounded curriculum that includes the study of all areas of theatre within the context of the liberal arts, as well as coursework in professional education. Content courses include: playwriting, acting, voice, directing, drama in education, theatre history, scenery/costume construction, stage makeup, theatre management, stage management, and all areas of design: scenery, lighting, and costumes. To receive secondary admission into the Theatre Education concentration, students must first be admitted to the University. Provisional admission to the Theatre Education concentration is granted during the first three semesters. Students’ work will be reviewed during a faculty interview in the first year, which includes submission of a formal qualifying paper. After receiving passing scores on the Praxis® Core Academic Skills for Educators (Core) test (or exemption), maintaining a 3.0 minimum GPA, and completing 35 hours of pre-student teaching field experience, students apply for admission to the School of Education during the second semester of their sophomore year. 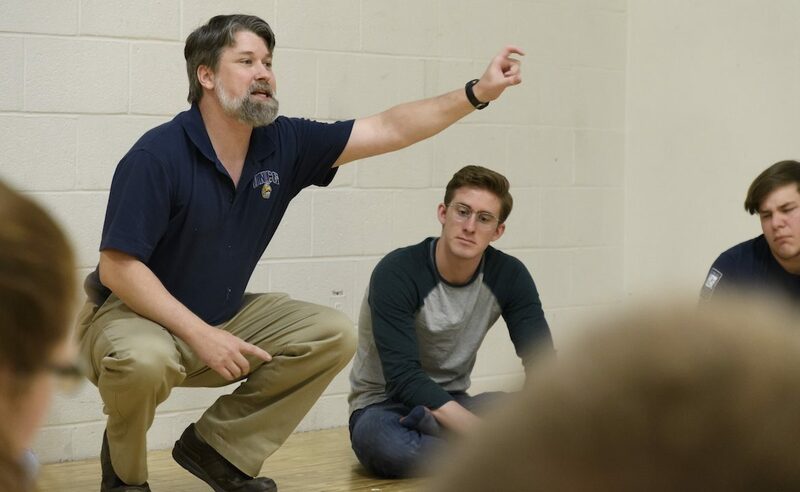 Before student teaching in their final spring semester, Theatre Education students must accumulate a minimum of 100 verified hours of pre-student teaching observation and field experience in local-area classrooms. In the final spring semester, student teaching is the culmination of the Theatre Education student’s training, completing 15 weeks in the classroom with 8 weeks full management of their on-site teacher educator’s classes. Students graduating with a BFA in Drama with concentration in Theatre Education will also complete an EdTPA summative assessment during their final year, and must include passing scores in the Praxis II: Theatre specialty area test. Upon successful evaluation of the requisite assessments, students will be recommended for a K-12 Professional Educator’s Initial License in the North Carolina Public Schools. View the Undergraduate Bulletin for this program’s curriculum. View the Theatre Education Handbook for a more comprehensive perspective on the concentration’s additional requirements. Questions? Contact Joshua Purvis at jtpurvis@uncg.edu or 336-517-7878. Because Mr. Purvis is frequently working in the public schools, email receives the fastest response.